If you’re an avid golf fan or a golfer yourself, you’re probably aware that August is a special month for golf enthusiasts like you. Although not as popular as basketball or baseball, the sport has become quite well-loved by many Americans – so well-loved that the country has decided to give it a month-long celebration. Taking place in August of each year is National Golf Month. People all over the nation are encouraged to recognize golf not only as a sport but also as a hobby. The event also intends to convince the public to give golf a try. To further your knowledge of the sport, we’ve gathered some facts about it that you might not have heard of yet. Check them out below! 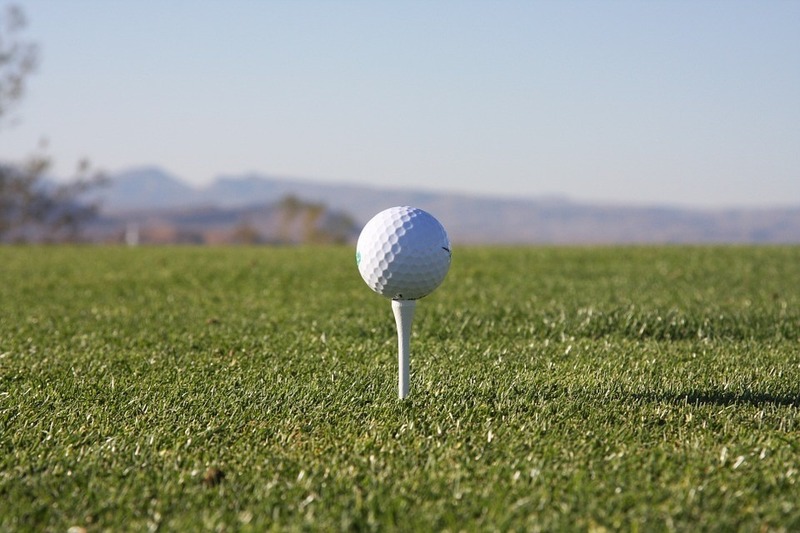 Before plastic and rubber, golf balls were originally made of leather-wrapped feathers and wood. Tees only became popular in the 1920s. Prior to that, golfers would place the ball on mounds of sand which they had to build. The term “birdie” was coined by A.B. Smith on accident when he described one of his shots as a “bird of a shot.” Since then, the term’s been widely used by players and fans alike. Golf is one of two sports played on the moon (with javelin throw as the other). U.S. astronaut Alan Shepard, the man behind it, used a 6-iron club for his moon swing on Feb. 6, 1971 during the Apollo 14 moon mission. How impressive is that? About 80 percent of golfers won’t have a handicap until they reach 18. The longest putt recorded was 375 feet. Golf was banned three times on separate occasions when the Scottish government thought that it was interrupting military training. Whether it’s simply for leisure or a way to bond with your colleagues at work, golfing is a great way to unwind and even blow off some steam. While it doesn’t require too much physical work like most sports, it does give you a certain challenge of having to move around and walk at a pace of 6 or 7 kilometers. Golf is also found to be stimulating to the brain. Figuring out where to position your ball, or estimating how powerful your swing should be to make it to the hole, you’re definitely in for a mental workout! As with any form of physical exercise, playing golf plays an essential role in increasing our heart rate and improving blood circulation, which ensures a healthy heart. Apart from the release of endorphins, which leads to a feeling of relaxation and happiness, there are factors that make golf a stress-relieving activity. For instance, it gives us an environment that has fresh air, a scenic view, and good company. Chances of injury are low. Unlike most sports, golf is a low-impact activity, which means that it’s highly unlikely for players to hurt themselves. If you’ve always avoided sports for fear of getting injured, looks like golfing could be your thing! Golf aids in weight loss. It’s a no-brainer that walking around a golf course with a golf bag on your shoulders can burn tons of calories. Imagine how many fats you’ll be burning off when you have to take a 7-km walk in one game alone! Playing golf increases our lifespan. If you aspire to reach the age of 100, you might want to buy yourself a golf club as soon as possible. Golfers have been found to have a 40-percent lower death rate, which means they’re expected to live another five years in this world than the average person. If you still haven’t played golf, not even a single game in your lifetime, August sounds like the perfect time! Tell your friends, co-workers, or an acquaintance to try it with you. Who knows, you might give Tiger Woods a run for his money! Everyone deserves the chance to experience the joy of playing golf, including the poor and underprivileged people in your area. With your charitable deed, they can! Here’s how. Goodwill Car Donations is all about helping disadvantaged Americans rebuild their lives. Through vehicle donations, Goodwill nonprofits all over the country are able to provide them with such vital services as job training and placement, mentoring, career development, youth employment, disability benefits, and other community-building support. These services enable these once idle individuals to qualify for good-paying jobs, freeing them and their families from the grip of poverty. We’re not even picky when it comes to vehicle types, age, and condition. Old or barely used, running or not, we’d be more than glad to receive your vehicle donation. As for the towing, we’ll take care of it for free! Just contact us if you’re ready to make a donation. From that point on, we’ll handle all your papers, haul away your vehicle at no cost to you, and sell it at auction. Once sold, we mail you your tax-deductible sales receipt, which is what you’ll need to claim your tax deduction. That’s just one of the rewards you’ll get for supporting our cause and helping out our less fortunate countrymen and women. Interested to learn more about us and our donation process? Our FAQs page will guide you! You can also contact and send us a message online. Got an old car that you’re planning to dispose of? Do it for a meaningful purpose with us! Call Goodwill at our toll-free 24/7 hotline 866-233-8586 today! You can also kick-start your donation by filling out our online donation page.